Protect your flowers, plants and trees with sturdy, portable greenhouses. 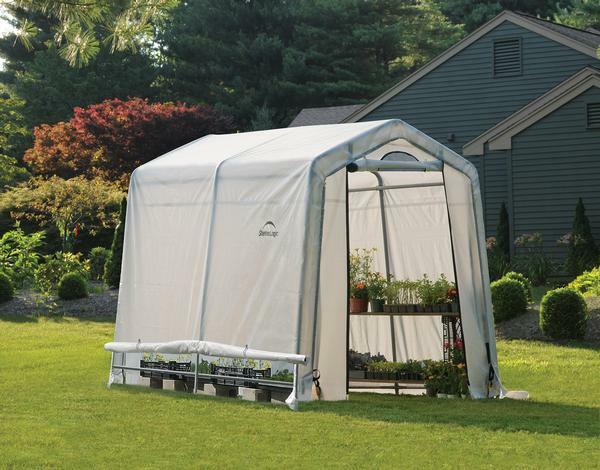 These mini backyard greenhouse kits are made of heavy duty structural steel frames that can withstand high winds and heavy rain so your indoor garden stays well protected. No drilling of field cutting is required. The 1-5/8” steel tubing structures set up easy and fast so you can spend more time tending to your hobby. Small greenhouse kits feature triple laminated polyethylene covers that are waterproof and offer a pleasant natural lighting environment. 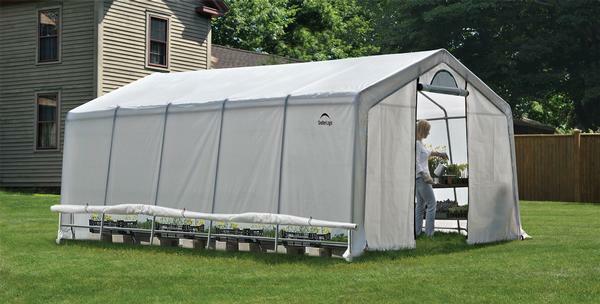 Choose from a selection of 12 foot wide by 8 foot high hobby greenhouse kits in lengths of 10, 20 or 24 feet depending on your gardening needs. 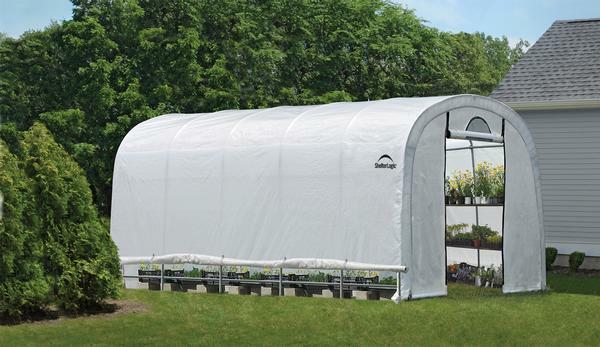 The heavy duty polyethylene material covers have a medium level translucent quality that allows significant lighting while protecting against harmful UV rays that could damage your flowers, trees and other plants. 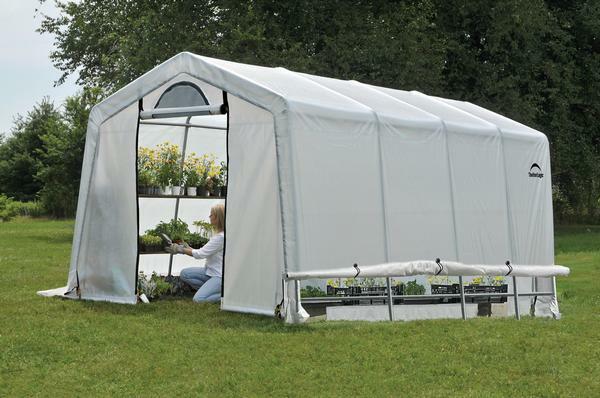 Outdoor backyard mini greenhouse kits are excellent portable shelters so you can transport your lush garden to the country, fairs and even competitions. 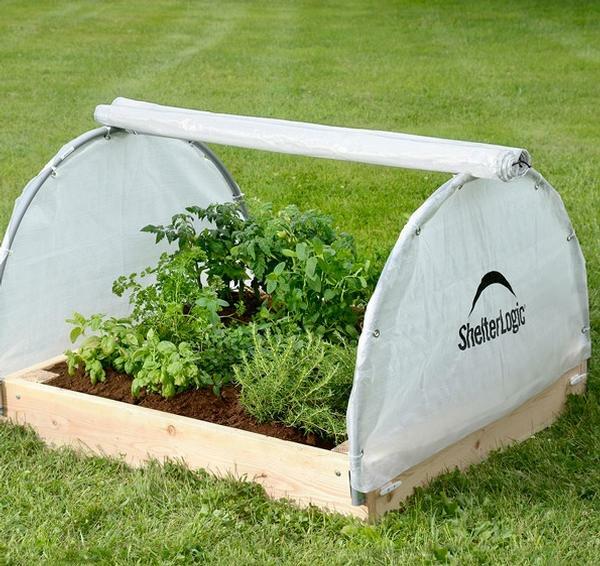 The sturdy steel frames are a cinch to take down and the polyethylene covers can fold up easy so you can take your greenhouse on the road. Double zipper front doors offer safe and easy access to your mini greenhouse. 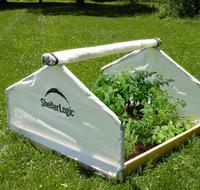 Polyethylene covers feature heat welded seam construction for an extra strong hold. 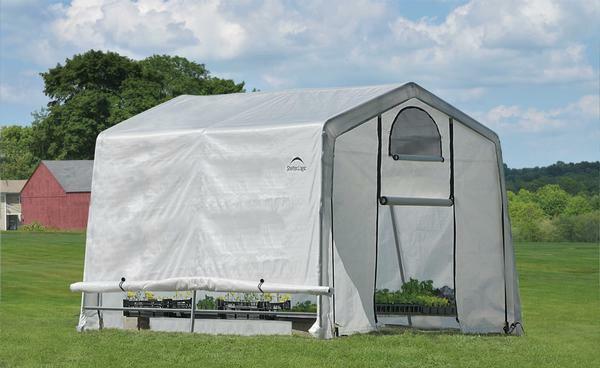 Extend your growing season by several months when you choose an affordable, portable greenhouse from Portable Garage Depot. These space saving greenhouses provide you with an affordable way to get a jump-start on growing in the spring and growing longer into the fall. They require minimal tools for assembly and can easily be built in minimal time. They can also be disassembled just as easily and stored in a garage, basement, or even a closet. Everything we offer is to make sure you get exactly what it is you were looking for when you chose this site to find a temporary greenhouse kit. We have various sizes and colors for residential or commercial uses. 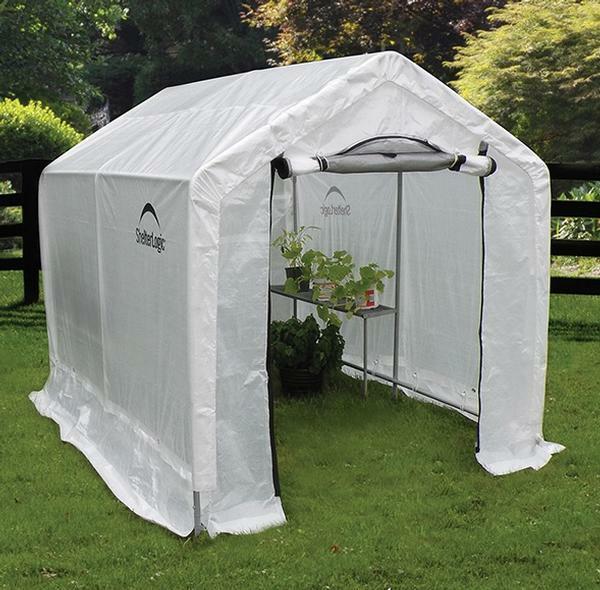 Whether a hobbyist just getting into gardening, or the gardener looking for an inexpensive way to grow, Portable Garage Depot can find the greenhouse for you. The wind, tear and UV resistant cover is made of polyethylene fabric (10 times stronger than the average greenhouse covers) that protects against interior condensation, rain, sleet, snow, hail, wind, bird droppings and a lot more. This covering includes a zippered door and optional screened windows for ventilation while keeping out insects and animals. 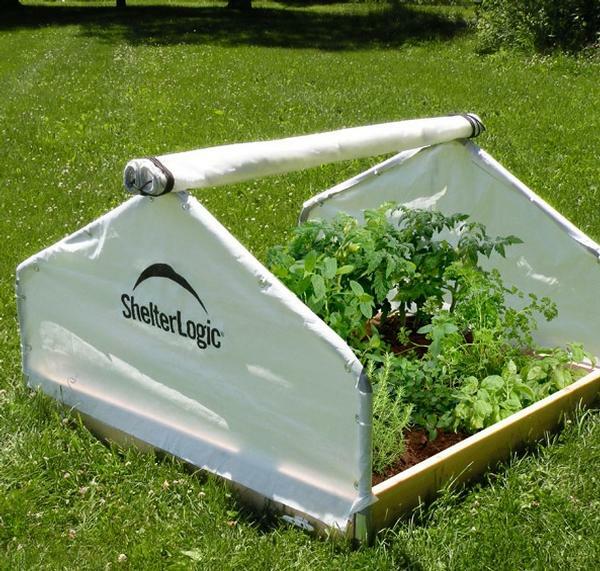 Greenhouse kits also include heavy duty anchoring stakes for windy areas, and all types of soil applications. 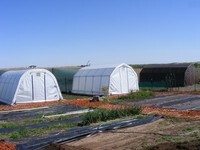 All greenhouse plans are setup with 4' ft rafter spacing, 2'ft spacing is available for that extra strength. You also get the choices of optional flooring, vent kits and anchors. Stability and strength comes from galvanized steel framing, with various types of heavy duty anchors to stand upon any type of application, while not compromising structural strength. 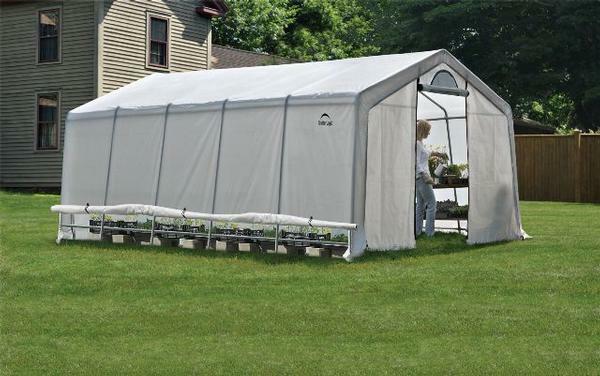 With the ultimate protection against the elements and a structure that can stand the test of time, Portable garage Depot can get you the portable multi purpose portable greenhouse building kit you desire. Take a look at our long line of products, all with the lowest factory direct prices, we can cover anything you need protected.